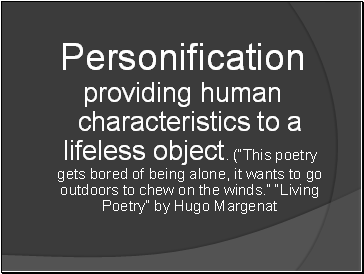 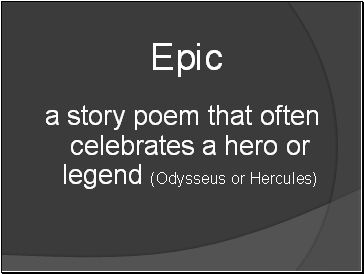 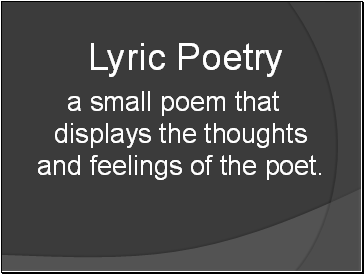 a small poem that displays the thoughts and feelings of the poet. 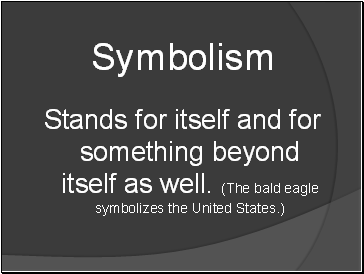 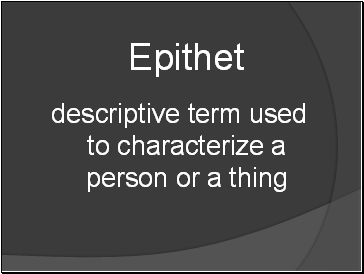 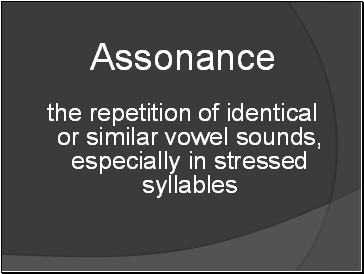 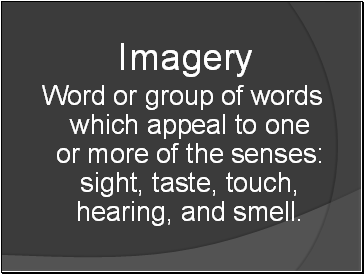 Word or group of words which appeal to one or more of the senses: sight, taste, touch, hearing, and smell. 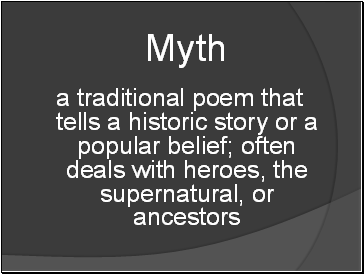 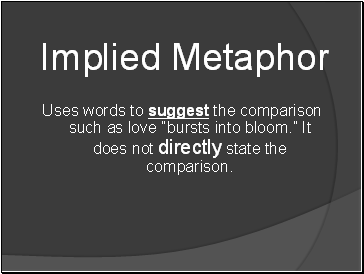 Uses words to suggest the comparison such as love “bursts into bloom.” It does not directly state the comparison. 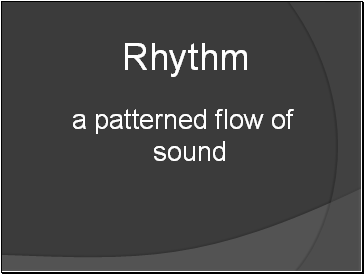 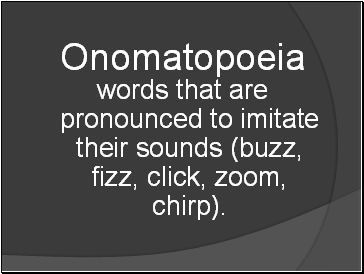 words that are pronounced to imitate their sounds (buzz, fizz, click, zoom, chirp). 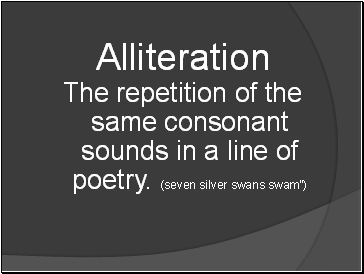 The similarity of ending sounds existing in lines of poetry. 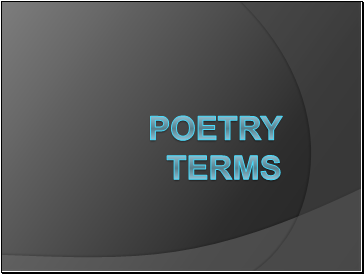 Internal: rhyme within the line of poetry. 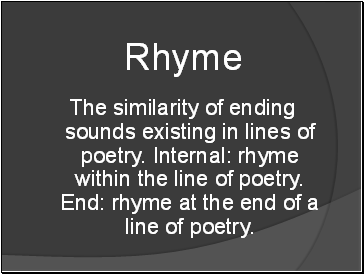 End: rhyme at the end of a line of poetry.